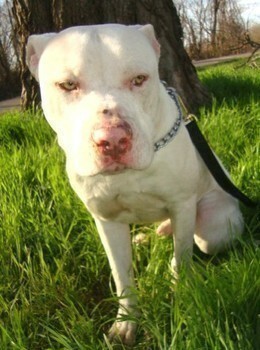 Kayden is a 1 year old male Pit Bull. He was rescued from the shelter due to his owners not claiming him and we are so glad we rescued him. He is very sweet and eager to please, all Kayden is looking for is his forever home so he can have tons of love and attention. 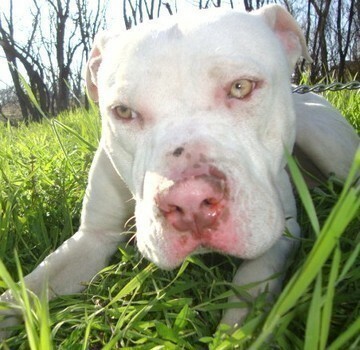 Kayden is around 65lbs, up to date on shots, micro-chipped, neutered, and heart worm tested. He has a great personality, one that is hard to pass up once you meet him. He gets along well with other dogs and children, not quite sure on cats but just due to his size we think he may accidentally play to rough. 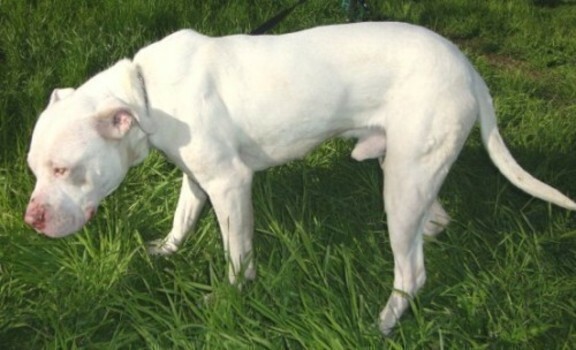 Kayden is a very loyal dog that is going to love someone with his whole heart and do nothing but please his owners. Kayden is available for adoption so if you think that Kayden would be a great addition to your family please click the link at the top of his bio, thank you! KAYDEN’S ADOPTION FEE IS $150 REVIEWED AND UPDATED 07-27-2010 Kayden is exclusively fed Natural Balance Ultra Premium Dog Food! © 2019 Bully Breed Humane Society, Lawton, Oklahoma. 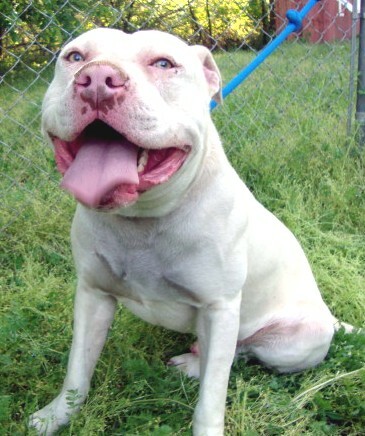 Email: lizzy@bullybreedhumanesociety.org, Phone: 580-917-5720, 580-917-5734.